Side Event "Participatory Budgeting in Asian Cities: A Pathway Towards Achieving The New Urban Agenda". 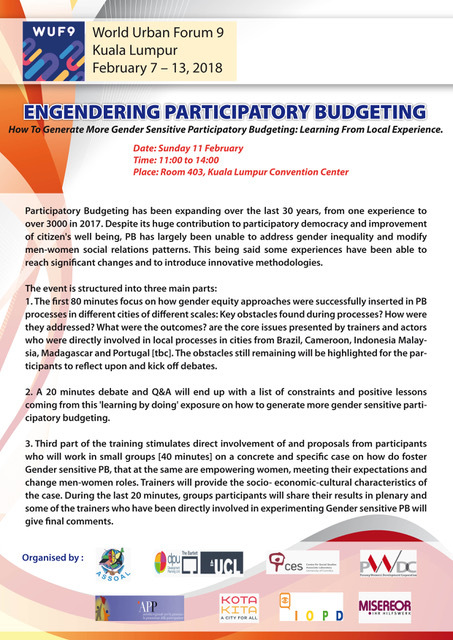 Training Event "How to generate more gender sensitive participatory budgeting. Learning from local experience". Networking Event entitled: "Scaling up Participatory Budgeting for Fostering Resilience of Urban and Regional Development"
Exchange and networking session: Participatory governance and social inclusion to promote Human Rights in the city and operationalize the New Urban Agenda and Sustainable Development Goals. 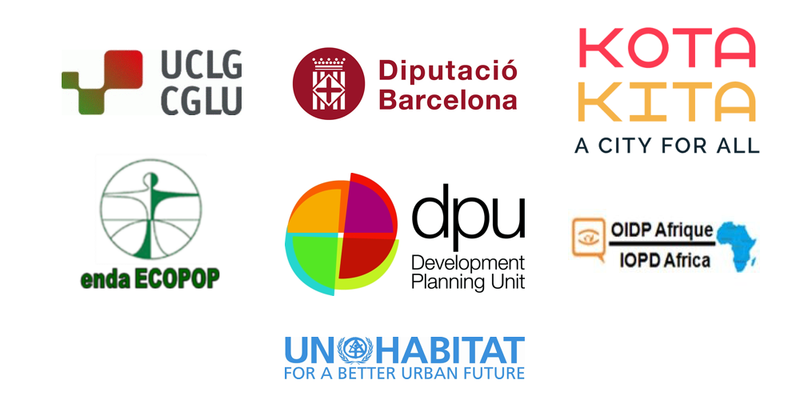 The Ninth Session of the World Urban Forum will be the first session to focus on the implementation of the New Urban Agenda adopted in Habitat III. WUF9 will be instrumental to substantively feed into the inputs for the first report of the implementation of the New Urban Agenda.